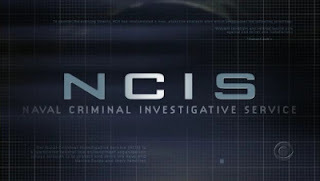 This is a trend with my TV watching, but NCIS is another show introduced to me by my mom. I caught up on back episodes via endless marathons on USA. Another crime drama, this one tied to the Navy. It's one of the most popular shows, so it has broad appeal. My inlaws watch it too. It's not the best show I've ever seen, but I've been watching long enough that I keep watching to see what happens with the characters' relationships (way more than I watch for any of the Navy crimes/murders they investigate). I don't watch the spin off, NCIS: Los Angeles, although I did watch the first episode. I guess I just didn't want to get drawn into something else. Basically this is a show that gets high enough ratings to expect it to be around as long as the actors want it to. So I guess it's likely to have a happy, wrap-it-up ending at some point. And I like shows that get to do that.